A key skill which Be Strong Online Ambassadors will need in their role is public speaking. Help your team develop their skills with our tips below! There are a few key things to remember when helping the Be Strong Online Ambassadors improve their public speaking techniques. Firstly it might be their first time public speaking, so they could be nervous to start off with. People are more likely to speak up if they know everyone, so if your Ambassadors are new to each other it might be a good plan to use ice breakers to ease them in before getting them to do longer speeches. If you have a student that is particularly nervous then do a group activity like pulling silly faces or playing a game, so they feel less embarrassed and are more likely to join in. 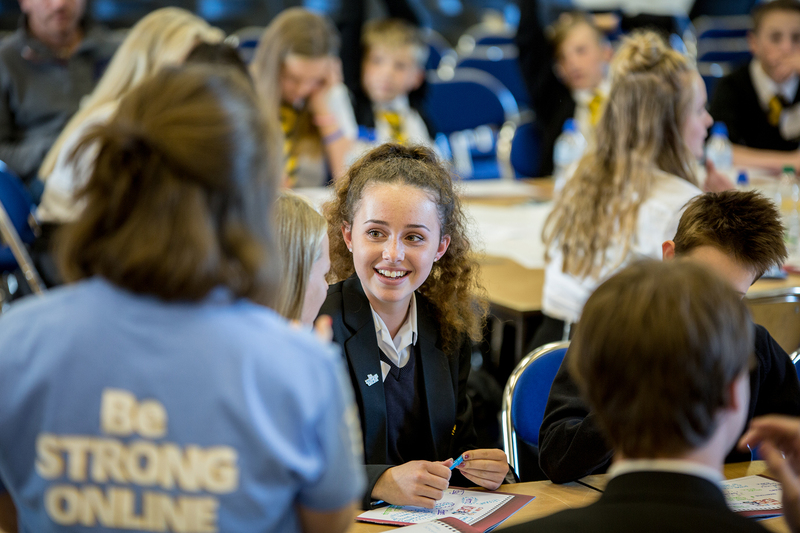 To run Be Strong Online sessions, your team will need to build their public speaking skills and gain confidence talking in front of other students. Here are some top tips to help your Be Strong Online Ambassador team reach their full potential. Remember that there are different types of public speaking, it is not just all formal speeches. Allow your Be Strong Online Ambassadors to convey their message in different ways if they want to: rap and comedy are also useful ways of getting their message across. Remind them that it is not the length of the speeches that matters – it is about getting your point across clearly and concisely. Person is ‘out’ if they either forget name or object, or make a mistake in recalling name or object. Each person needs to come up with 2 truths and 1 lie about themselves, but they shouldn’t tell anyone what the lie is until the end. The object of the game is for the rest of the group to decide which one is the lie, once the group have decided then they tell everyone what the lie was. Get a volunteer from the group to come to the front of the room. The topic of the speech should be silly E.g. Cheese, Socks, Forks, etc. 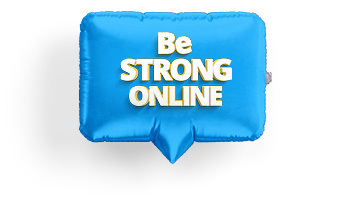 Ask your Be Strong Online Ambassadors what their idea of public speaking is. Get them to give you examples of good public speakers. They can come up with anyone as long as they are able to justify the reason why that person is a good public speaker. Use videos of good speeches and get them to note the good points, or alternatively get them to note the good points of their peer’s speeches. Below are a selection of speeches that can be used as examples of public speaking. Some are good examples that demonstrate different considerations for public speaking, others are less successful as speeches but may still provide interesting talking points. Finally, remind Be Strong Online Ambassadors that they are not expected to be experts – it is all about learning. Remember to ask their opinions on activities that they might like to do in order to feel more confident. The key thing to remember though is to get them talking the more practice they have the better they will become!